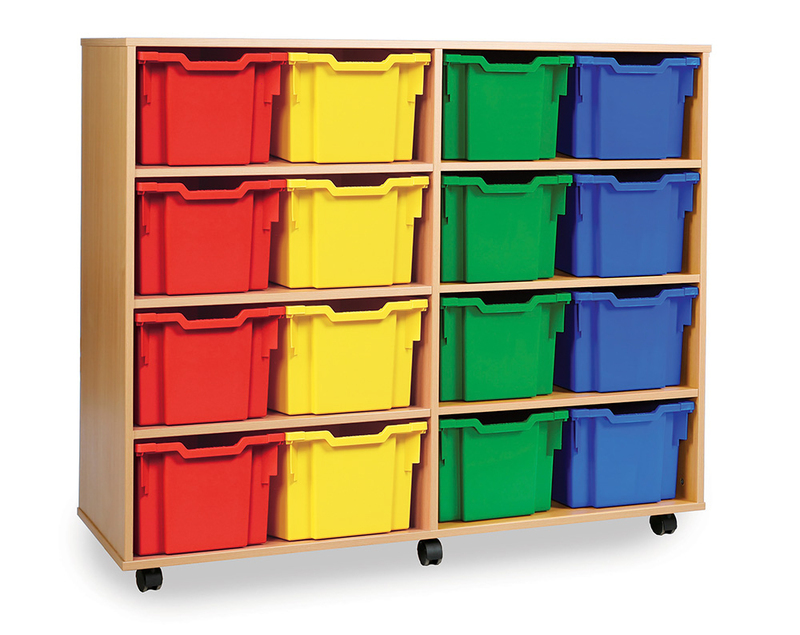 This extra deep tray storage unit is available with 6, 12 or 16 trays. 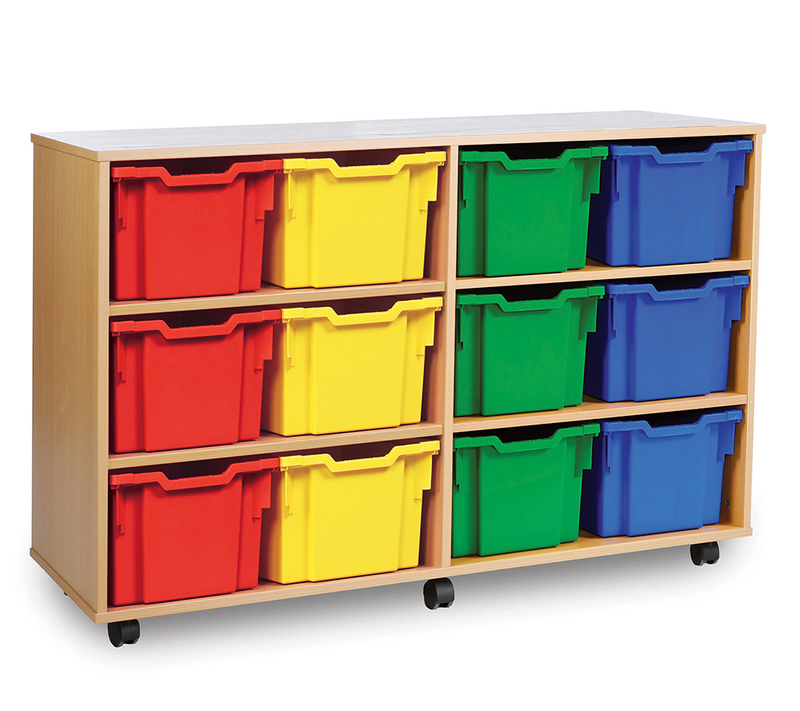 Designed to be used throughout schools, nurseries and pre-schools for storing everyday learning materials including paper, art supplies, toys and children’s bags. 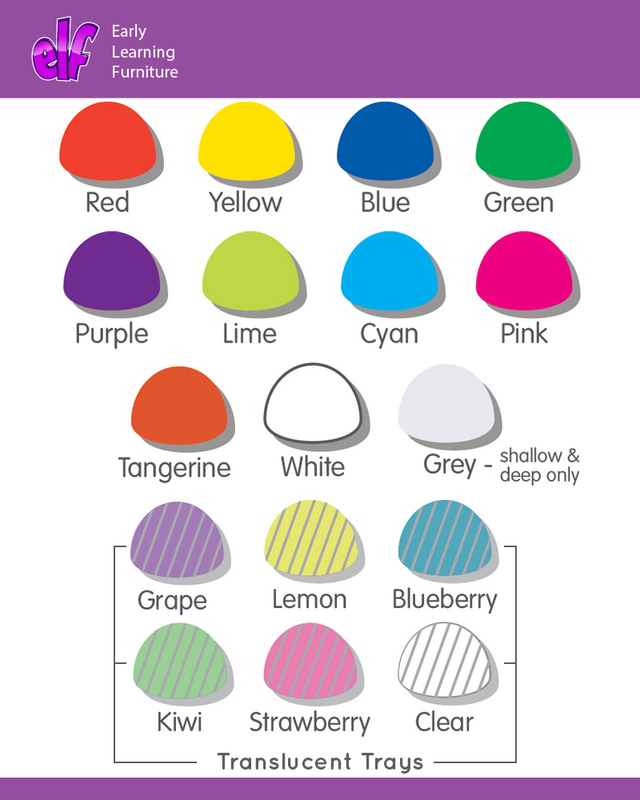 With 16 vibrant tray colours to choose from, you can personalise your school trays to match your classroom colour scheme. The unit is supplied with castor feet for easy mobility when required. 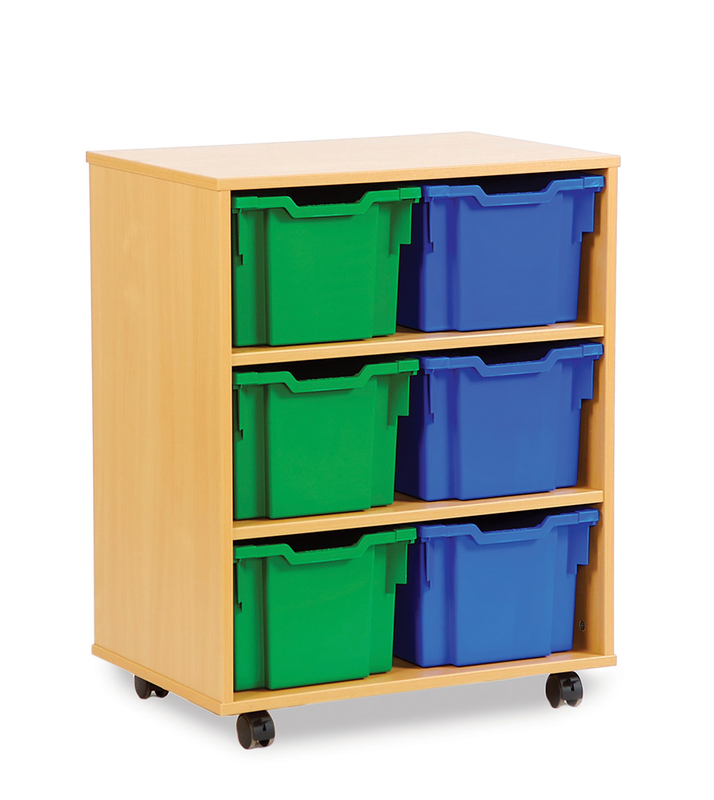 Constructed of 18mm MFC in a modern beech finish, this tray storage unit is designed for use in all learning environments.